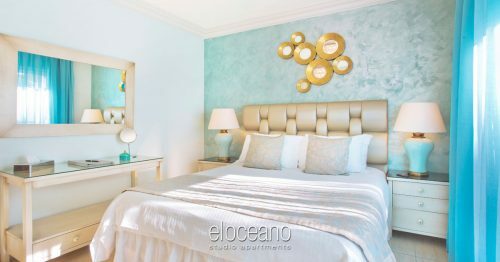 2018 at El Oceano Luxury Beach Hotel. Another Incredible Season! 2018 Holidays at El Oceano Beach Hotel. The 2018 High Season is approaching its end and, as always, it’s been a wonderful season!! Still a packed calendar is ahead for the Autumn and Winter, some old favourites, some new events, always great fun. Always El Oceano! 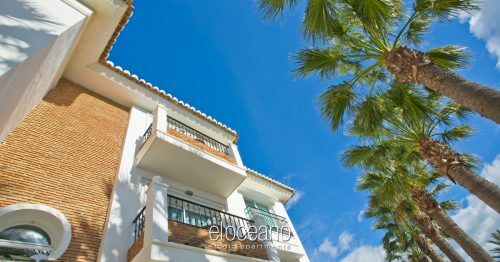 Book your holiday in paradise this 2018 Autumn Season! The high season months are drawing to a close as we look forward to Autumn and the Christmas Season! 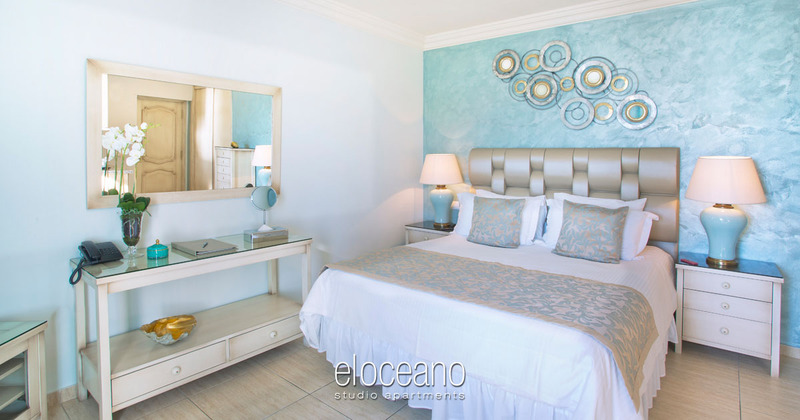 If you’ve already reserved your perfect beach hotel holiday at El Oceano… great! We’re looking forward to welcoming you! If not, maybe it’s time to speak to us! 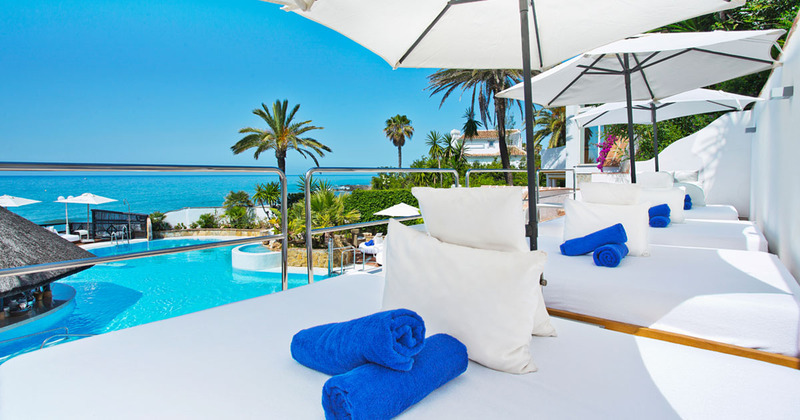 Our beautiful beach hotel is the perfect place for a luxury holiday! 50 stunning rooms and suites, most with unspoiled sea views, our ’boutique’ style hotel is unique! Enjoy one of our fantastic Penthouse Suites for a real touch of luxury! So, what are you waiting for?! Be one of the lucky few 2018 guests at El Oceano Luxury Beach Hotel!! Reserve your accommodation, your VIP Sunbed or your table in the Restaurant! The El Oceano annual calendar is packed with many events, throughout the 2018 Season! A few significant events like Christmas & New Year plus a peppering of Full Moon Gala Dinners, lead us nicely to the winter season! And don’t forget every Sunday. That’s EVERY Sunday throughout the year, we host the best Sunday on the Costa! Interested? Great! We think we’re going to have a fantastic 2018! We hope you’ll be able to join us! New for 2018! 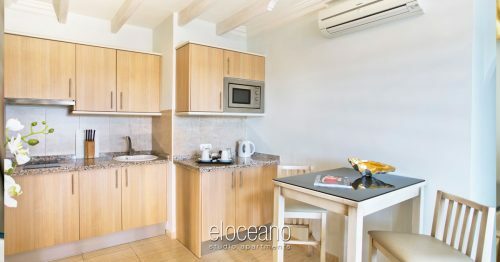 The Brand New Studio Apartments! During the winter break of 2017/18. 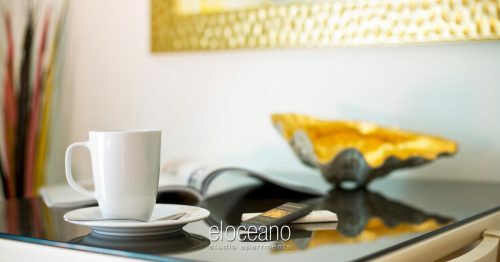 we continued our ongoing renovation of the hotel and restaurant, by updating the Studio Apartments! 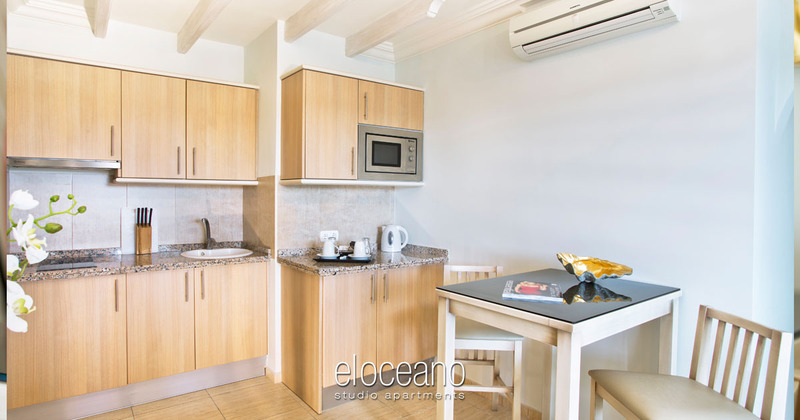 Now inline with the main hotel rooms, the self catering studios are just the thing for those who prefer a little more privacy while retaining all the facilities of the hotel. Take a look… ‘like them? There’s nothing quite like the satisfaction of being well-organised. And it’s a great feeling when it comes to booking your holiday too! 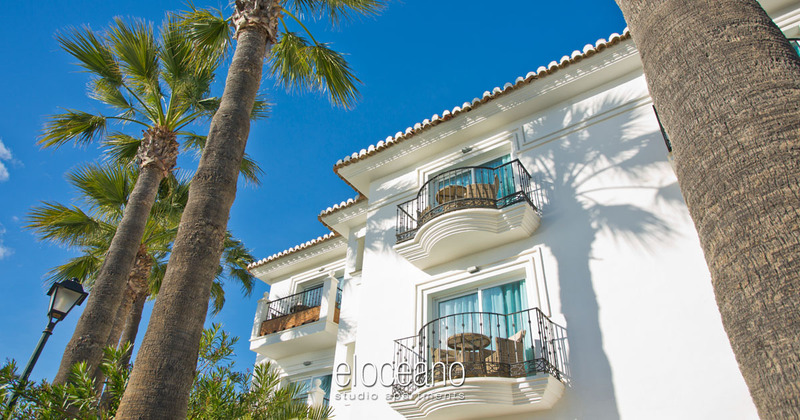 For those who like to plan ahead, Autumn 2018 holidays at El Oceano can be just a click away! Guarantee your place in the hotel or restaurant today! It’s never too early to book your next holiday. Every year, we have the unpleasant task of informing enquiring guests, “I’m sorry sir/madam, but I’m afraid we’re fully booked at that time.”. It doesn’t feel right to us to turn our guests away and can often leave guests feeling a little disappointed. It isn’t nice, but it is inevitable. If El Oceano Hotel were twice the size, it would still be full at many times throughout the year. If you’re confident about staying with us at some point in 2018, we respectfully suggest you get in touch sooner, rather than later. We talk a lot about ‘busy times’, but the high season is, by far, the busiest! 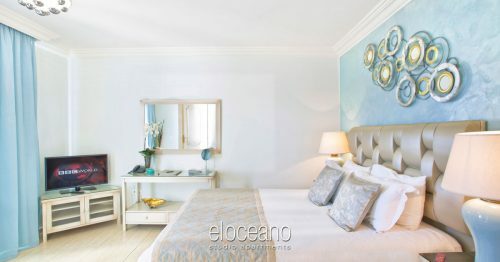 The El Oceano ‘high season’ begins around the beginning of June and lasts through until the mid/end of October. That’s not just El Oceano of course – Spain’s southern coast is the place to be during 2018. The Grand National: Saturday, 14th April, 2018. Ascot Ladies’ Day: Thursday, 21st June 2018. Two fantastic days in the El Oceano calendar! If these two dates aren’t an excuse to get dressed up and feel a little special, we just don’t know what is! Ladies’ Day is already very nearly fully booked. Please note: Both dates are still provisional (as supplied by the relevant websites). We will confirm all dates closer to the time, but please make your reservation enquiry and we will let you know as soon as we can! 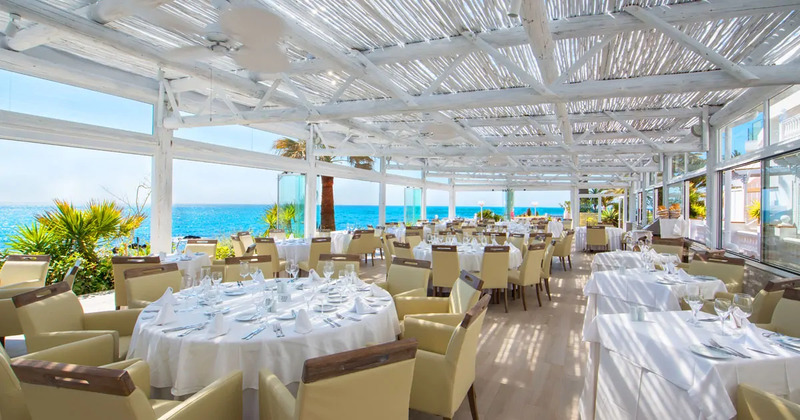 Always popular and always an utterly beautiful evening in the restaurant, our Full Moon Gala Dinners are a regular, (almost) monthly event throughout the El Oceano calendar! Always live entertainment, the Full Moon Gala Dinners are a set menu evening. In 2017, all Sundays throughout the summer, right up to September were booked SOLID, as early as April. That means some guests booked 5 months in advance. Let me say that again… 5 months! We understand this can often upset guests – particularly ‘regulars’ – however we absolutely have to accept reservations on a strict ‘first-come, first-served’ basis. We consider this to be the only fair way of handling the, often overwhelming, number of reservation enquiries. Hopefully you agree! 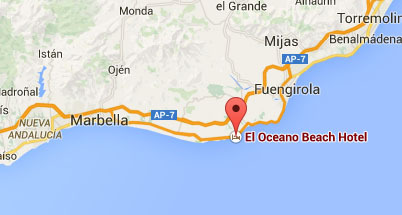 If you’ve yet to enjoy it, the ‘Sunday Experience’ at El Oceano is something not to be missed on the Costa del Sol. 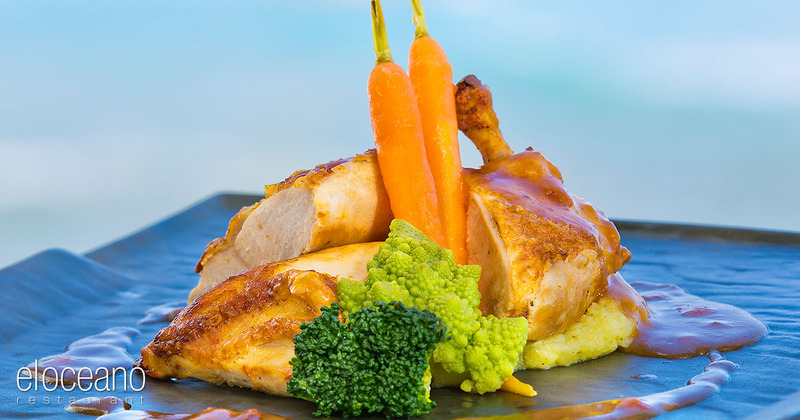 Start your El Oceano Sunday with an aperitif in the Cocktail Lounge followed by a beautiful meal to remember – an exquisite fusion of traditional and contemporary Sunday Lunch, with live music all afternoon. When you’re ready, head down to the terrace for the Pool Party. Cocktails and champagne around the pool with more live music and dancing. Sunday is always a special day at El Oceano. 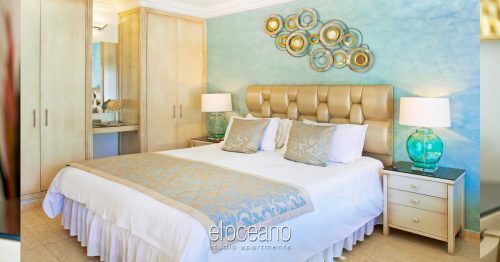 Even if you’re staying elsewhere, make an El Oceano Sunday part of your 2018 holidays!